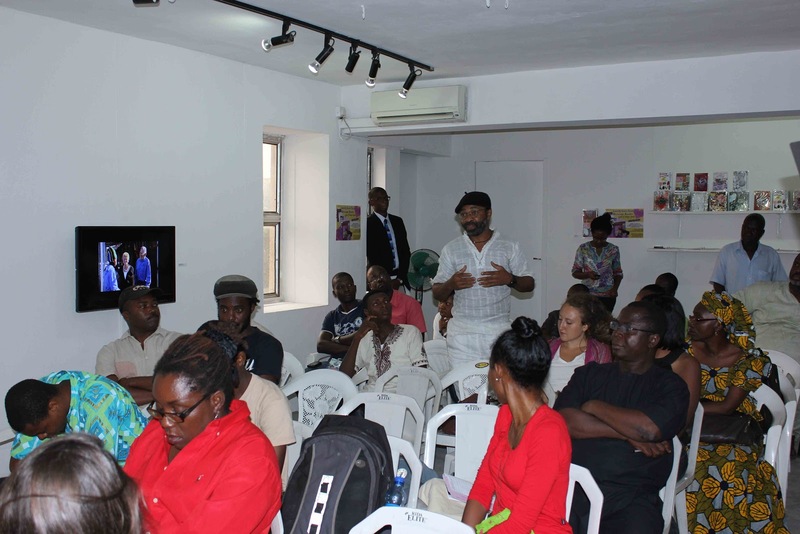 Hearty congratulations to the Centre for Contemporary Art (CCA), which marks five years of engaging services on the art sphere today. Managed by Bisi Silva, CCA has proven the worth of its vision to hold a large and diverse collection of books in its Library, thereby encouraging readership for information and education on all about art, artists and great works. 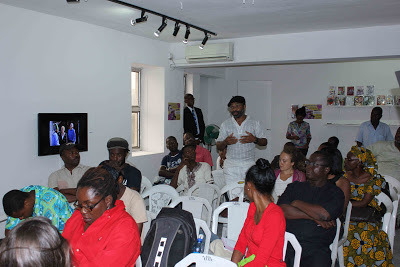 If there be a score card on performance during these five years, then the volume of interactions that have taken place in CCA in forms of exhibitions, live performances, workshops and residencies would place this heart of art on a most enviable position. 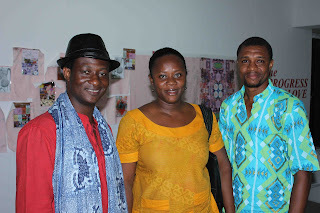 Silva is glad that they have continued to work in line with the vision, and excited by how the new media have boosted the efforts of the centre to promoting and sustaining art in Nigeria. 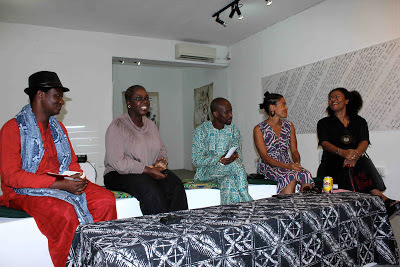 Rounding off on the exhibition themed The Progress of Love, which spanned over four weeks with performances and exhibition of works by different artists, a panel discussion held yesterday with Bisi Silva, Bernard Akoi-Jackson( from Ghana), Wuraola- Natasha Ogunji, Valerie Oka (Ivory Coast) and Jelili Atiku in session. The discourse raised issues of basically appreciation of performance art pushing the frontiers of art as No-holds-barred. 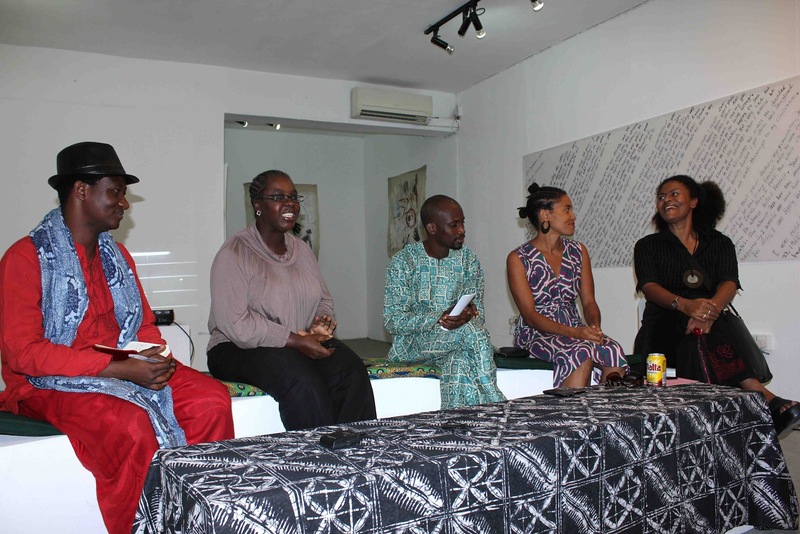 Labels: Bernard Akoi-Jackson , CCA , Jelili Atiku , Literary , The Progress of Love , Valerie Oka , Wuraola-Natasha Ogunji.